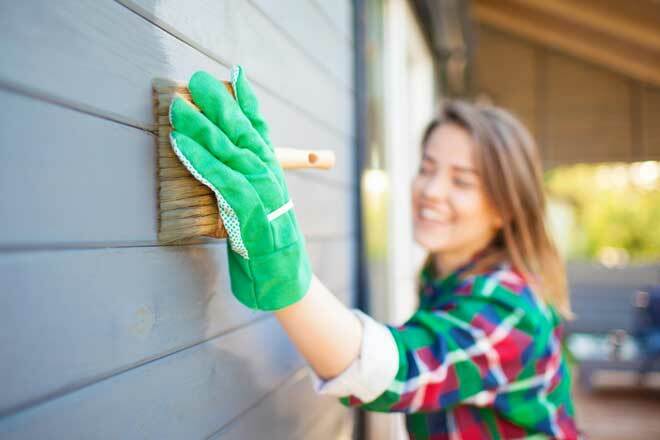 How Long Should an Exterior Paint Job Last For? There is a lot of confusion regarding the lifespan of exterior paint jobs. In some cases, a professional painter may guarantee as little as two years, while some companies boast 100 years or longer. Getting a proper estimate for your own home requires the consideration of numerous variables, many of which you have little or no control over. On the most basic level, properly applied exterior acrylic paint will last 5-10 years, with latex and oil-based paints lasting slightly less. These estimates are difficult to apply universally, as climate, the material being painted, brand of paint, and the quality of the job itself can all affect how soon you will need to repaint. The following factors should all be considered when preparing to paint your home, and may help you with a more accurate estimate for your project’s lifespan. There are several factors which can reduce the lifespan of an exterior paint job. Some of these are more avoidable than others. Of those factors which you have control, preparation and curing time are the two most vital factors and should never be neglected. The color you choose will actually have a major affect on how well the paint holds up over time. Darker colors tend to absorb more sunlight, causing them to fade faster. This means you may estimate the sunny side of your home to need to be repainted in three to five years for a dark paint, and five to seven years for a light paint if the sheltered side has a lifespan of ten years. 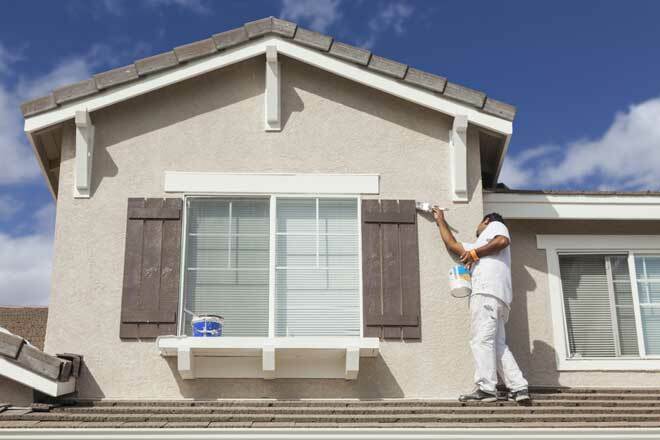 Exterior paint requires time to thoroughly dry, and a dry surface doesn’t always mean the paint has finished curing. Most exterior latex paints require 4-6 hours to dry, but 24 hours is the ideal amount of time to properly cure. A good rule of thumb is to paint your home at a time when you expect to have no rain for at least 12 hours, preferably a full day. Oil-based paints take the longest time to cure, while latex and acrylic both dry quickly. More importantly, you should pay attention to humidity levels. A good rain after six hours will do less harm than painting in high humidity, as the moisture will slow or even prevent proper curing. In some extreme cases, fog or high humidity has resulted in the paint melting completely away. For this reason, you should always pick a day with relatively low humidity to paint an exterior wall. One of the greatest things you can do to get the most out of a paint job is to invest in the project. Your caulking, paint, and primer should all be quality brands and designed specifically for exterior use. Choose a satin or semi-gloss enamel for the trim. A flat finish works best for siding, while 100 percent acrylic is the most durable paint type. Oil-based paints are also durable, but may be regulated in your area due to the presence of VOCs. Having the right technique will also help you get the maximum lifespan out of a job. Always start at the top with the overhangs, then work your way down. This helps prevent the paint from dripping or running over an already-painted surface. Using an airless sprayer to lay the primer and paint, then going back over with a good-quality roller will improve adhesion and uniformity. Once the walls are finished, place painter’s tape over the edges of doors and windows and begin working on the trim. Removing the tape immediately after will help reduce the amount of residue left behind. Touch up the trim as needed after the paint has dried. Paint is only as good as the surface it is applied to, and failing to properly prepare your exterior walls can lead to chipping or peeling after only a short time. The previous paint should be scraped down as much as possible to remove any peeled or loose fragments. Sanding further smooths out the surface for better adhesion. Old paint can often de-laminate over time, which will affect younger coats. The entire surface should be hosed down to get rid of any dust or dirt, then allowed to dry before applying any paint, as even a small amount of dirt can weaken the adhesion and lead to peeling. Use quality caulk to seal around windows and other gaps. Finally, adding a good primer is essential to a lasting paint job and reducing the effects of weather to the underlying materials, especially wood. No matter how much effort you put into creating a top-notch paint job, there are some factors which are beyond your control. These can often cause a quality paint job to fade or chip in a fraction of the time that same job would last elsewhere. One of the biggest factors that can reduce the lifespan of your paint job is the location of your home. An arid environment will age the paint much slower than a humid environment, and a location near an ocean or sea can cause a paint job to degrade approximately five times as fast. Weather patterns also play a major role in how quickly a paint job degrades. In regions with mild weather throughout the year, your paint job will last much longer than in a region with heavy snows or harsh temperature fluctuations. Heavy storms, hail, and frequent violent winds can cause the paint to scratch or blister. Over time, this will lead to chipping, peeling, and fading. 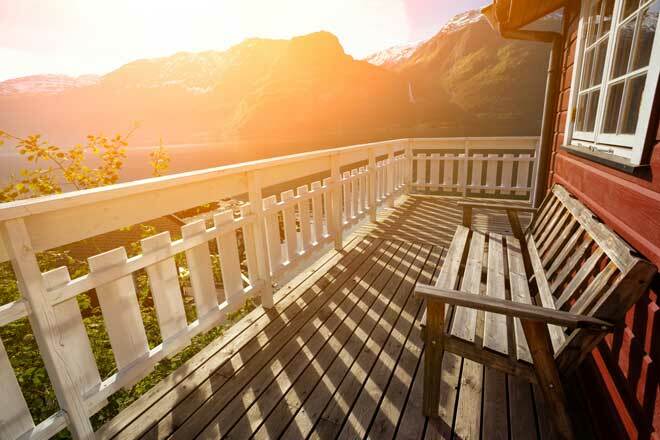 Sunlight poses its own threat to your home’s exterior paint. While it is unlikely to chip the paint on its own, direct sunlight for long periods will start to fade the paint. This is more noticeable with darker colors than light, and the side that faces the sun will fade faster than the shaded sides of your home. The material you are painting will have a major effect on the lifespan of your paint job. Wood surfaces tend to degrade the fastest, followed by brick or stucco. Aluminum and vinyl siding can retain paint for 20 years or longer, when properly applied. The lifespan for wood may be extended somewhat by sealing any gaps and using a quality primer, although the shorter lifespan becomes quite apparent when wooden trim is painted alongside a more durable wall material.